Do you think that cake decorating is a hobby? For some people it is both: a hobby and a career too. The amateurs are those who find it fun to bake the cakes and decorate them for their friends. It is the way of saving money by doing it themselves. With good decorating tips and tricks, anyone can master this art, even you! Stretch your imagination. The art of decorating cakes starts here! Turn your kitchen into an art studio! Creating a cake does not have to be a stressful experience, just get creative. Aren’t you afraid to try new ideas and techniques? Decorating can be as simple as using a stencil. David Cakes has proven this fact. Drawing most of the inspiration for his cake designs and patterns from nature, David has always been a big fan of cookery since childhood. It was his mother who has inspired this skillful man. His most beloved woman was his earliest motivation in baking. When he was five years old, he used to watch his mom cooking in the kitchen. That was the very moment he realized that a combination of his love for art and cooking can give him something more. He understood that it was something he wanted to pursue in his life. His fascination with cake-decorating did not make him popular during his primary school years. Although the school system allowed pupils to choose their classes, there was no option for boys to do cookery in school. It was classes meant for girls only. His mother went to the headmaster and told him that her son wanted to join the cookery classes. At first the school could not accommodate that request. After a lot of persuasion, eventually he did it. To make things worse, people laughed at David for being the only boy to do cookery. But this does not prevent him from getting good results. At the age of 16, David scored well in his O-Levels. Although he flunked at other subjects, he felt that his world was bright and happy. David has graduated from Colquitt Technical and Nautical College in Liverpool where he studied Baking and Food Technology. He had a dream of setting up his own business. His cake decorating subject was what he scored and felt very proud of. David realized that studying in college and putting the skill into the real working environment was a different thing. The UK confectioner started at ground zero, doing all the basic things. He worked through the night putting bread into a hot pan. He hated it but had to do it as it was just part of the discipline. David had an opportunity to do cake decorating outside his working hours. He received more and more requests for cakes after work. Finally he created his own style of cake decorating. Within several months of working in the shop, David started his own business. He did not have lots of money for a proper workplace. But at least he knew he was following the dream. His first sculpturing and modelling masterpieces were created in his own kitchen. Things look up for him in his 20s – David met a rather rich woman. She owned a big clothing corporation in England. That seemed to be just a regular order, but the task turned out to be way much more complicated. She could not find anyone to make her dream dessert. That was a tremendous success. The lady was so much impressed that she paid him £100 just for the work. In less than a week David welcomed crowds of new clients. He was also invited to the wedding, where his masterpiece received all-round admiration. Besides, his hard work felt truly paid off. Things got even better for David in 1983. The UK confectioner launched David Cakes International School of Cake Decorating Art & Design. He found a very distinctive clientele. He got the role of a wedding cakes designer for the wedding of Prince Andrew and Sarah Ferguson. 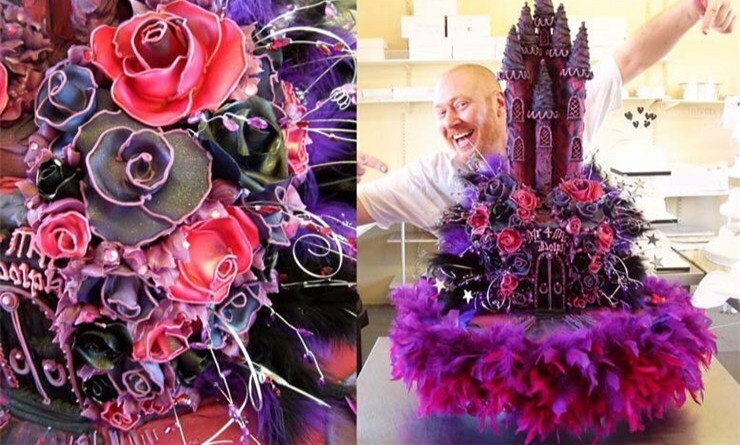 He got a petrifying experience creating the royal wedding cake. In 1989 David received ‘The National Training Award’ that was presented by the late Margaret Thatcher. He continued decorating cake for royalty. Among his clients there were also celebrities. In 2011, David was lucky to get a lucrative three-year contract as a judge for a new international television series called the ‘CAKE WALK Wedding Cake Edition’. It was a great honor to be asked to take that role. 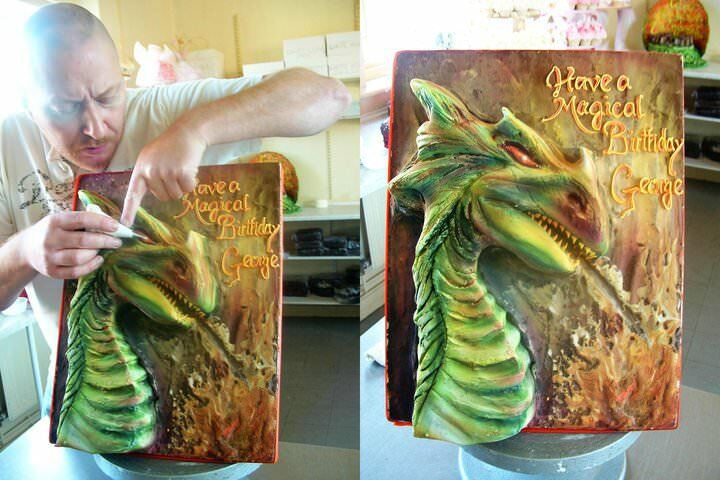 Since being recognized around the world, David enjoys teaching people the art of cake decorating. Today, the old-school tradition and the modern style of cake decorating run along side by side. What qualities should a cake decorator have? An open mind. Just believe in yourself and do whatever it takes to achieve your dream. David consider that the best thing about being a cake decorator is the ability to create something amazing and to see other people feeling elated. If you believe in things that you want to achieve, go for it. David had 30 years of retail experience and now travels the world sharing his knowledge in cake decorating classes, courses. Besides all this, David holds cooking classes for world famous hotel chains and takes part in the international exhibitions all over the world. The pics of MacCarfae’s masterpieces are replicated on different websites around the globe. The cakes are cooked by the whole team, but their decoration depends only on David. He used sugar mastic and special food dyes. David’s works are characterized by using subtle color palette, cleverly chosen combination of colors and shades. Creating such pieces of art requires a perfect skills. Among David Cakes’ chef-d’oeuvre’s are those closely connected with adventure world and exotic countries. Each cake is a unique work of art. David’s style is very personal. He creates exquisite cakes for any memorable occasion. Cakes are his passion. If you still consider the profession of confectioner a technical profession, David and his team will prove that you’re wrong!